Grace Lutheran Church has a new pastor. Joshua Wiley was greeted by congregation members Sunday, Jan. 20, during an installation ceremony for the new pastor at Grace Lutheran Church in Scappoose. Wiley hails from Idaho, where he and his wife and four children lived before relocating to Columbia County. He's been a pastor for roughly two years, and joined the church earlier this month. Rev. Wiley was welcomed following a Sunday morning service with a potluck installation. 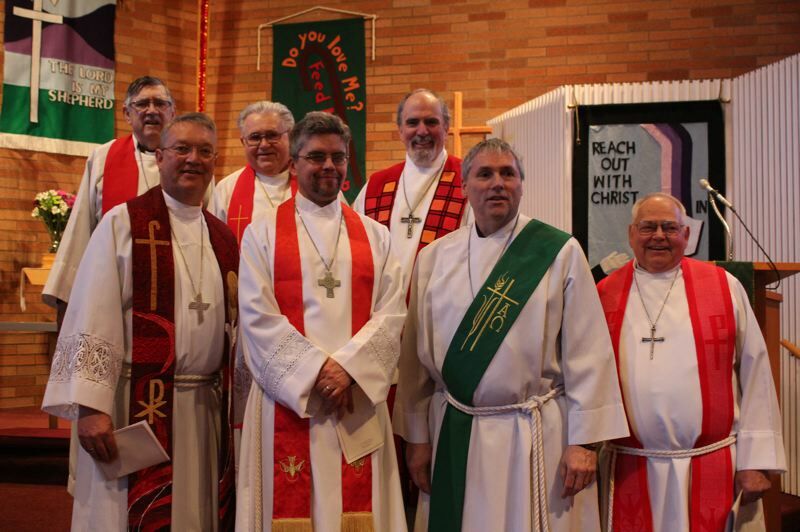 A handful of retired pastors and Grace Lutheran elders officiated the installation. In addition to welcoming a new pastor, the church is also enjoying new rooms in its Children's Corner, which hosts preschool and daycare children during the day, along with grade school kids in the afternoons. Rooms at the Children's Corner wing of the property sustained fire damage in spring 2018 after a small kitchen fire. The rooms were revamped and reopened in January.